1 A None No Power Seat 1 A is a standard First Class seat located at a bulkhead. The proximity to the galley and lavatory area might be bothersome. Floor storage is not available during takeoff and landing. 1 C None No Power Seat 1 C is a standard First Class seat located at a bulkhead. The proximity to the galley and lavatory area might be bothersome. Floor storage is not available during takeoff and landing. 1 D None No Power Seat 1 D is a standard First Class seat located at a bulkhead. The proximity to the galley and lavatory area might be bothersome. Floor storage is not available during takeoff and landing. 1 F None No Power Seat 1 F is a standard First Class seat located at a bulkhead. The proximity to the galley and lavatory area might be bothersome. Floor storage is not available during takeoff and landing. 15 A None No Power Seat 15 A is a standard Economy Class seat. Seat back recline is limited due to the Exit Row located directly behind. 15 B None No Power Seat 15 B is a standard Economy Class seat. Seat back recline is limited due to the Exit Row located directly behind. 15 C None No Power Seat 15 C is a standard Economy Class seat. Seat back recline is limited due to the Exit Row located directly behind. 15 D None No Power Seat 15 D is a standard Economy Class seat. Seat back recline is limited due to the Exit Row located directly behind. 15 E None No Power Seat 15 E is a standard Economy Class seat. Seat back recline is limited due to the Exit Row located directly behind. 15 F None No Power Seat 15 F is a standard Economy Class seat. Seat back recline is limited due to the Exit Row located directly behind. 16 A None No Power Seat 16 A is a standard Economy Class seat located in an Exit Row that has extra legroom. Seat back recline is limited due to the other Exit Row located directly behind. Floor storage might be unavailable during takeoff and landing. Overhead storage space at this seat might be limited. 16 B None No Power Seat 16 B is a standard Economy Class seat located in an Exit Row that has extra legroom. Seat back recline is limited due to the other Exit Row located directly behind. Floor storage might be unavailable during takeoff and landing. Overhead storage space at this seat might be limited. 16 C None No Power Seat 16 C is a standard Economy Class seat located in an Exit Row that has extra legroom. Seat back recline is limited due to the other Exit Row located directly behind. Floor storage might be unavailable during takeoff and landing. Overhead storage space at this seat might be limited. 16 D None No Power Seat 16 D is a standard Economy Class seat located in an Exit Row that has extra legroom. Seat back recline is limited due to the other Exit Row located directly behind. Floor storage might be unavailable during takeoff and landing. Overhead storage space at this seat might be limited. 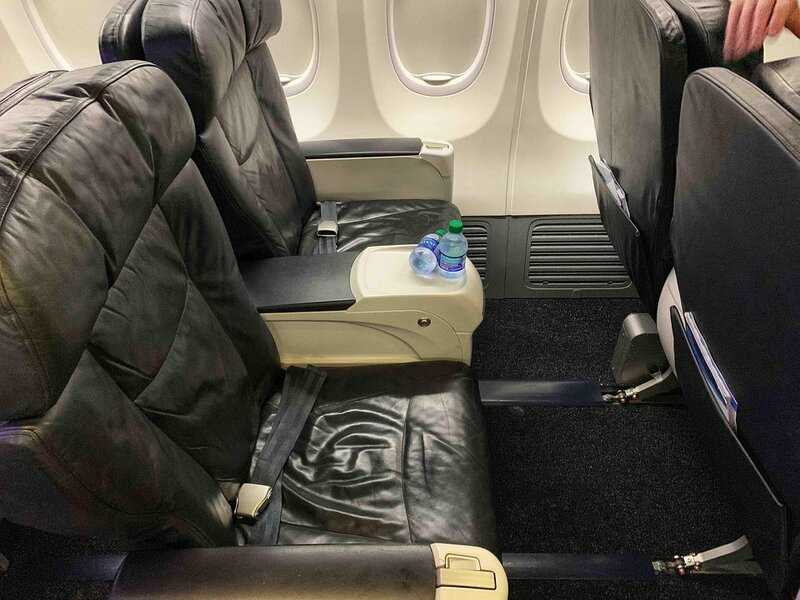 16 E None No Power Seat 16 E is a standard Economy Class seat located in an Exit Row that has extra legroom. Seat back recline is limited due to the other Exit Row located directly behind. Floor storage might be unavailable during takeoff and landing. Overhead storage space at this seat might be limited. 16 F None No Power Seat 16 F is a standard Economy Class seat located in an Exit Row that has extra legroom. Seat back recline is limited due to the other Exit Row located directly behind. Floor storage might be unavailable during takeoff and landing. Overhead storage space at this seat might be limited. 17 A None No Power Seat 17 A is a standard Economy Class seat located in an Exit Row that has extra legroom. Floor storage might be unavailable during take-off and landing. Overhead storage might be limited at this seat. 17 B None No Power Seat 17 B is a standard Economy Class seat located in an Exit Row that has extra legroom. Floor storage might be unavailable during take-off and landing. Overhead storage might be limited at this seat. 17 C None No Power Seat 17 C is a standard Economy Class seat located in an Exit Row that has extra legroom. Floor storage might be unavailable during take-off and landing. Overhead storage might be limited at this seat. 17 D None No Power Seat 17 D is a standard Economy Class seat located in an Exit Row that has extra legroom. Floor storage might be unavailable during take-off and landing. Overhead storage might be limited at this seat. 17 E None No Power Seat 17 E is a standard Economy Class seat located in an Exit Row that has extra legroom. Floor storage might be unavailable during take-off and landing. Overhead storage might be limited at this seat. 17 F None No Power Seat 17 F is a standard Economy Class seat located in an Exit Row that has extra legroom. Floor storage might be unavailable during take-off and landing. Overhead storage might be limited at this seat. 32 A None No Power Seat 32 A is a standard Economy Class seat that is in the last row of this aircraft and might have limited to no recline. The proximity to the galley and lavatory area might be bothersome. 32 B None No Power Seat 32 B is a standard Economy Class seat that is in the last row of this aircraft and might have limited to no recline. The proximity to the galley and lavatory area might be bothersome. 32 C None No Power Seat 32 C is a standard Economy Class seat that is in the last row of this aircraft and might have limited to no recline. The proximity to the galley and lavatory area might be bothersome. 33 D None No Power Seat 33 D is a standard Economy Class seat. The proximity to the galley area and the entrance to the adjacent lavatory might be bothersome. 33 E None No Power Seat 33 E is a standard Economy Class seat. The proximity to the galley and lavatory area might be bothersome. 33 F None No Power Seat 33 F is a standard Economy Class seat. The proximity to the galley and lavatory area might be bothersome. 34 D None No Power Seat 34 D is a standard Economy Class seat that is in the last row of this aircraft and might have limited to no recline. The proximity to the galley area and the entrance to the adjacent lavatory might be bothersome. 34 E None No Power Seat 34 E is a standard Economy Class seat that is in the last row of this aircraft and might have limited to no recline. The proximity to the galley and lavatory area might be bothersome. 34 F None No Power Seat 34 F is a standard Economy Class seat that is in the last row of this aircraft and might have limited to no recline. The proximity to the galley and lavatory area might be bothersome. 6 A None No Power Seat 6 A is a standard Premium Class seat located at a bulkhead. The bulkhead is a curtained divider that might be bothersome. Alaska Airlines classifies this seat as "Premium Class" which provides an additional 4 inches of legroom for an additional fee. The tray table is in the armrest making the armrest immovable and slightly reducing seat width. Floor storage during take-off and landing might be limited due to the First Class seat arrangement located directly ahead. 6 B None No Power Seat 6 B is a standard Premium Class seat located at a bulkhead. 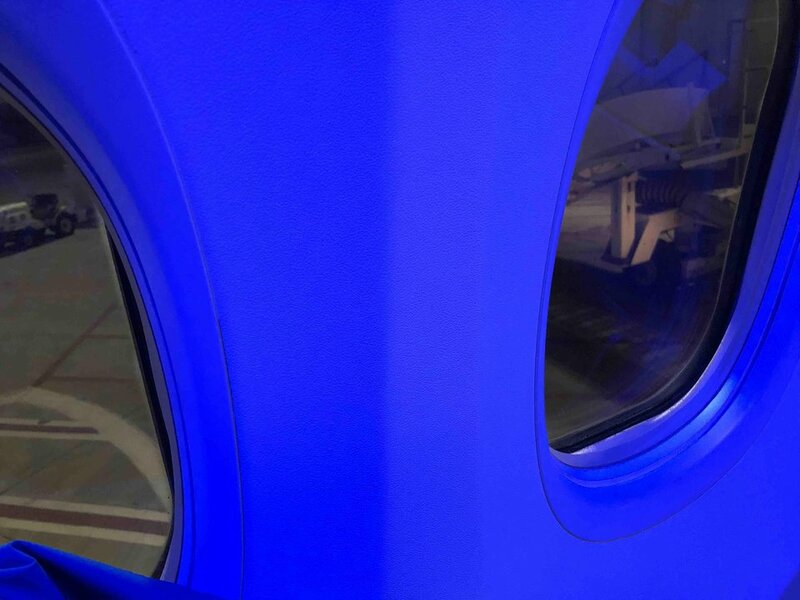 The bulkhead is a curtained divider that might be bothersome. Alaska Airlines classifies this seat as "Premium Class" which provides an additional 4 inches of legroom for an additional fee. The tray table is in the armrest making the armrest immovable and slightly reducing seat width. Floor storage during take-off and landing might be limited due to the First Class seat arrangement located directly ahead. 6 C None No Power Seat 6 C is a standard Premium Class seat located at a bulkhead. The bulkhead is a curtained divider that might be bothersome. Alaska Airlines classifies this seat as "Premium Class" which provides an additional 4 inches of legroom for an additional fee. The tray table is in the armrest making the armrest immovable and slightly reducing seat width. Floor storage during take-off and landing might be limited due to the First Class seat arrangement located directly ahead. 6 D None No Power Seat 6 D is a standard Premium Class seat located at a bulkhead. 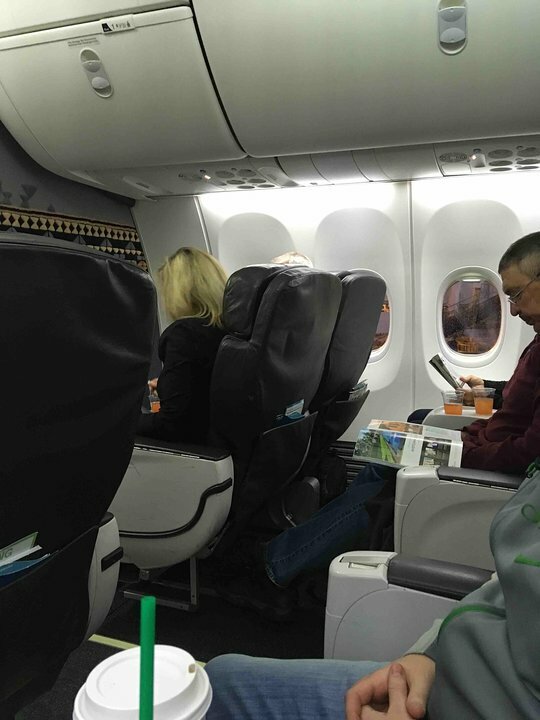 The bulkhead is a curtained divider that might be bothersome. Alaska Airlines classifies this seat as "Premium Class" which provides an additional 4 inches of legroom for an additional fee. The tray table is in the armrest making the armrest immovable and slightly reducing seat width. Floor storage during take-off and landing might be limited due to the First Class seat arrangement located directly ahead. 6 E None No Power Seat 6 E is a standard Premium Class seat located at a bulkhead. The bulkhead is a curtained divider that might be bothersome. Alaska Airlines classifies this seat as "Premium Class" which provides an additional 4 inches of legroom for an additional fee. The tray table is in the armrest making the armrest immovable and slightly reducing seat width. Floor storage during take-off and landing might be limited due to the First Class seat arrangement located directly ahead. 6 F None No Power Seat 6 F is a standard Premium Class seat located at a bulkhead. The bulkhead is a curtained divider that might be bothersome. Alaska Airlines classifies this seat as "Premium Class" which provides an additional 4 inches of legroom for an additional fee. The tray table is in the armrest making the armrest immovable and slightly reducing seat width. Floor storage during take-off and landing might be limited due to the First Class seat arrangement located directly ahead. 7 A None No Power Seat 7 A is a standard Premium Class seat. Alaska Airlines classifies this seat as "Premium Class" which provides an additional 4 inches of legroom for an additional fee. 7 B None No Power Seat 7 B is a standard Premium Class seat. Alaska Airlines classifies this seat as "Premium Class" which provides an additional 4 inches of legroom for an additional fee. 7 C None No Power Seat 7 C is a standard Premium Class seat. Alaska Airlines classifies this seat as "Premium Class" which provides an additional 4 inches of legroom for an additional fee. 7 D None No Power Seat 7 D is a standard Premium Class seat. Alaska Airlines classifies this seat as "Premium Class" which provides an additional 4 inches of legroom for an additional fee. 7 E None No Power Seat 7 E is a standard Premium Class seat. Alaska Airlines classifies this seat as "Premium Class" which provides an additional 4 inches of legroom for an additional fee. 7 F None No Power Seat 7 F is a standard Premium Class seat. Alaska Airlines classifies this seat as "Premium Class" which provides an additional 4 inches of legroom for an additional fee. 8 A None No Power Seat 8 A is a standard Premium Class seat. Alaska Airlines classifies this seat as "Premium Class" which provides an additional 4 inches of legroom for an additional fee. 8 B None No Power Seat 8 B is a standard Premium Class seat. Alaska Airlines classifies this seat as "Premium Class" which provides an additional 4 inches of legroom for an additional fee. 8 C None No Power Seat 8 C is a standard Premium Class seat. Alaska Airlines classifies this seat as "Premium Class" which provides an additional 4 inches of legroom for an additional fee. 8 D None No Power Seat 8 D is a standard Premium Class seat. Alaska Airlines classifies this seat as "Premium Class" which provides an additional 4 inches of legroom for an additional fee. 8 E None No Power Seat 8 E is a standard Premium Class seat. Alaska Airlines classifies this seat as "Premium Class" which provides an additional 4 inches of legroom for an additional fee. 8 F None No Power Seat 8 F is a standard Premium Class seat. Alaska Airlines classifies this seat as "Premium Class" which provides an additional 4 inches of legroom for an additional fee. 9 A None No Power Seat 9 A is a standard Premium Class seat. Alaska Airlines classifies this seat as "Premium Class" which provides an additional 4 inches of legroom for an additional fee. 9 B None No Power Seat 9 B is a standard Premium Class seat. Alaska Airlines classifies this seat as "Premium Class" which provides an additional 4 inches of legroom for an additional fee. 9 C None No Power Seat 9 C is a standard Premium Class seat. Alaska Airlines classifies this seat as "Premium Class" which provides an additional 4 inches of legroom for an additional fee. 9 D None No Power Seat 9 D is a standard Premium Class seat. Alaska Airlines classifies this seat as "Premium Class" which provides an additional 4 inches of legroom for an additional fee. 9 E None No Power Seat 9 E is a standard Premium Class seat. Alaska Airlines classifies this seat as "Premium Class" which provides an additional 4 inches of legroom for an additional fee. 9 F None No Power Seat 9 F is a standard Premium Class seat. Alaska Airlines classifies this seat as "Premium Class" which provides an additional 4 inches of legroom for an additional fee. Portable Media Players - digEPlayer - are available on some flights. These media players are available for a fee and may be reserved online. First Class passengers have complimentary use. Economy Class passengers may rent via reserving before departing. Alaska Airlines also offers a streaming option - Alaska Beyond Entertainment. The option may be accessed through your own personal mobile device via the Gogo Entertainment app. 110V AC power ports and USB ports are available at every seat on this aircraft. Alaska Airlines's Boeing 737-900's service long-range and heavily traveled routes. 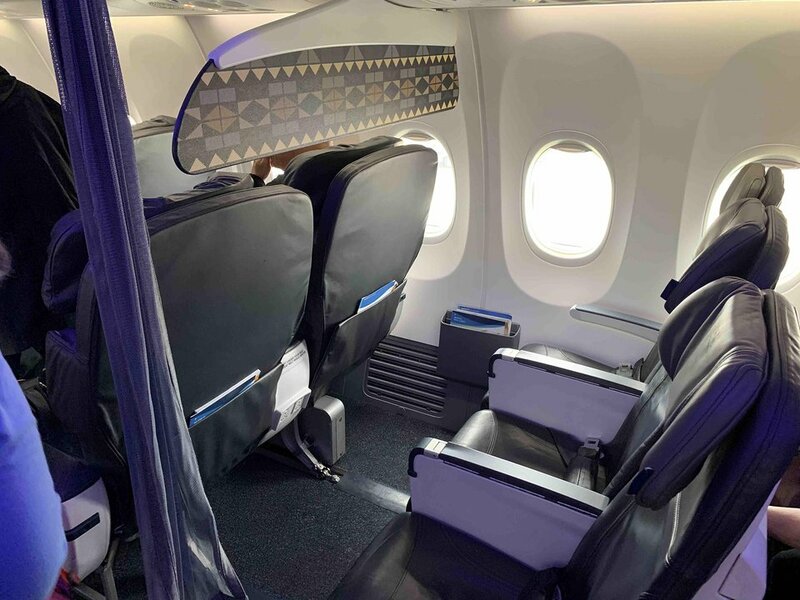 Cabin features include leather Recaro seats, larger overhead bins, and Boeing's dramatic Sky Interior. Premium Class seating is also featured on this aircraft. Premium Class features Economy Class seats with four additional inches of legroom and enhanced refreshments selections. All 737-900's in the fleet have been equipped with onboard WiFi. Power ports for laptops and mobile devices are available at every seat. Above average legroom and *width* for sure, compared to other 737 NG series I've flown. My aircraft was 2 years old, N493AS, and the interior was clean and spacious. BIG PLUS: outlet and USB in the seat in front of you near the knees, making super easy access. If you're anything like me and love the engine buzz, but you also think its a bit loud, then this seat is perfect! Not too noisy, just the perfect "hummm"AND, you have a seat near the front of the plane, so you're out first! PDX to ORD on an Alaska 787-900. 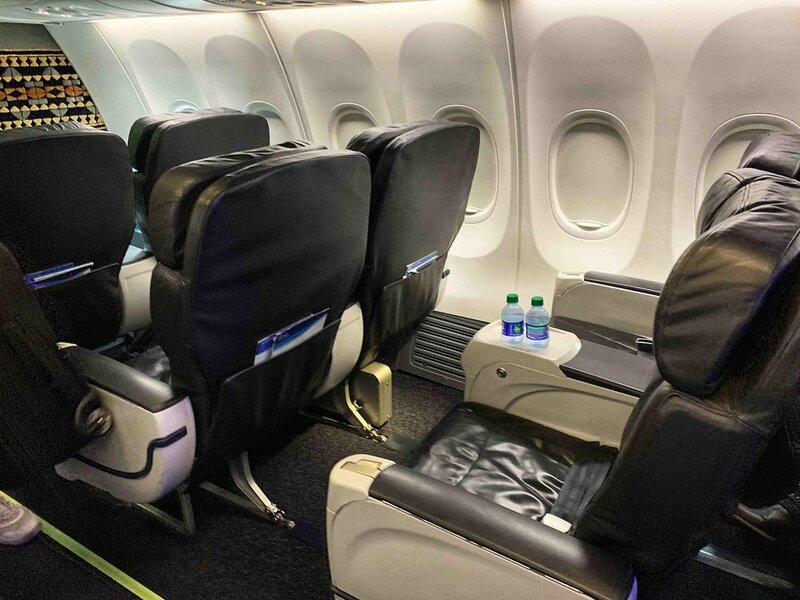 The new first class seat pitch makes a huge positive difference. Leather seats have adjustable "wing" type headrests. New overhead bins are huge. HVAC air vents provided adequate (cool) airflow. Power outlets/USB between seats. IFE is either a pre-loaded tablet (no-charge) or streaming content via GoGo. Streaming IFE was very poor (system kept crashing and/or freezing. Forward lav size OK and was kept clean throughout flight. FYI, catering was the best I've had in flying on Alaska for past 35+ years. Overall very acceptable for a 4+ hour flight. First row in first class takes the most hits from bags and butts when people are coming on the plane. Second row is the best. One of the first to get off and you get your first selection on food. Alaska says Premium Economy has priority boarding and reserved overhead space but IMO its not Priority Boarding. After First Class boards they call everyone with any flight status, which is half the plane, THEN you get to board. By the time i got to my seat, the overhead was already full from passengers boarding earlier and NOT seated in Premium Economy. Even though overheads are clearly marked. How is this priority boarding? This bulkhead seat does not have a front pocket. Only the A/D seats have anything to store small items. No frills, though decent food relative to Delta. Thats the onky thing that rated better though. Row 11 has less legroom than row 9 or row 12 yet is marked as a premium seat with more legroom on the checkin computer. Also all center seats on this aircraft have AV equipment under them making same leg with as aisle seats. Standard economy. Clean cabin with Sky Interior amd nice mood lighting which makes cabin feel roomier, but seat pitch still toght with Recaro seats. As mentioned, but stiff cushioning...particularly bottom cushion is less than comparable United seats, but slightly better recline. Food options pretty good, though Sonoma. Hucken bowl was worst hot option Ive had from normally good Alaska food options.